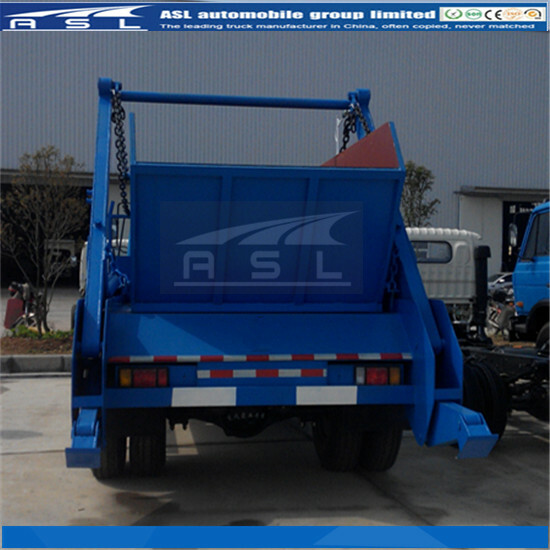 5: Hopper assembly is used to load household garbage, cinder, slag and so on. There is a flip shaft under the rear of the hopper. 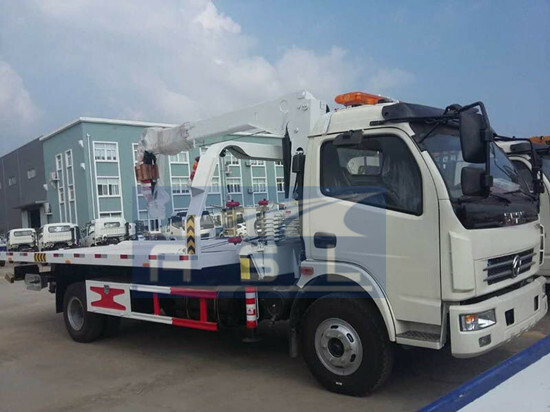 On the transportation situation, the hook hitches the flip shaft. 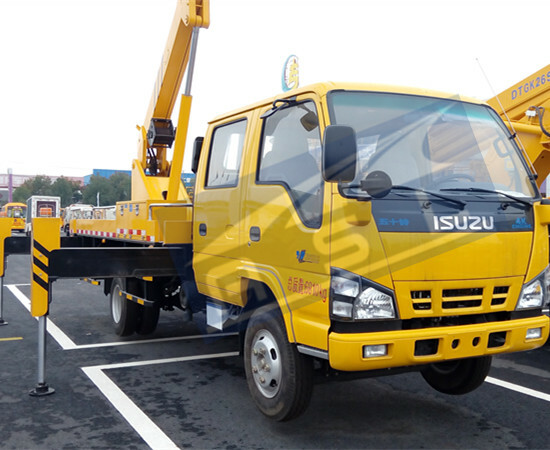 According to the hook’s on/off the goods will dump or leave ISUZU 6wheels Heavy Duty SKip Loaders when charge/discharge. 4: when the chain ring connects with the hopper’s lifting ear, push the handle 1 inby to make the arm move backwards. 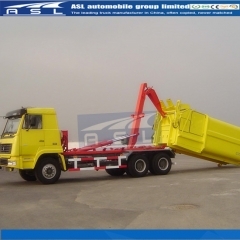 Then, suspend the hopper down depending on the lifting chain on Hydraulic Container JAC Skip Loaders. 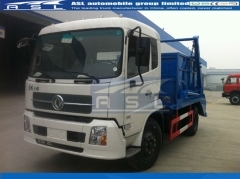 10: Start the engine, pedal the clutch and push the power take off machine ahead. 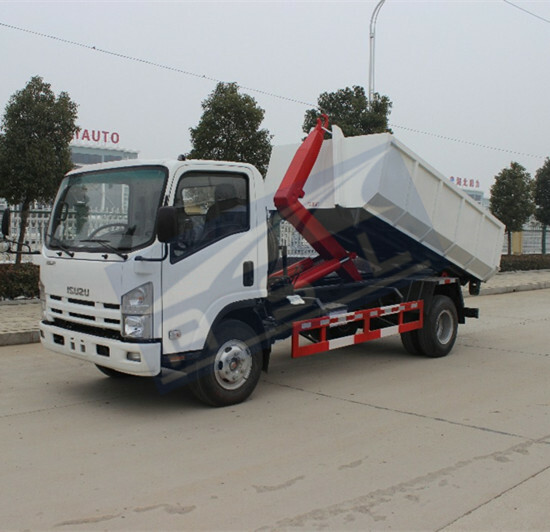 When the gear meets to the joggle, release the clutch’s pedal and turn on the power, and then the oil pump on HINO 10T Skip Loader Trucks begins to work. 16: Transportation: when transportation, the oil pump should stop working. The oil cylinder to control legs dumping hook should withdraw, the flip hook is on and the chain ring connects with the hopper’s lifting ear. 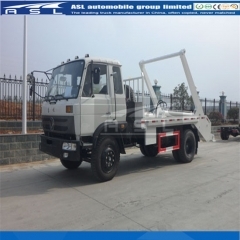 If Sinotruk HOWO 16T Skip Loader Trucks runs without the hopper, the chain ring should connect with the arm’s lifting ear. 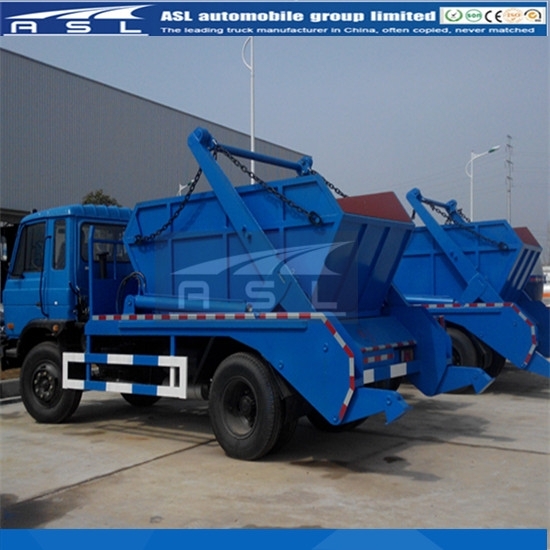 8: The different size of the hopper on New FAW 6wheels 8CBM Skip Loaders should match with different length of the lifting chain. 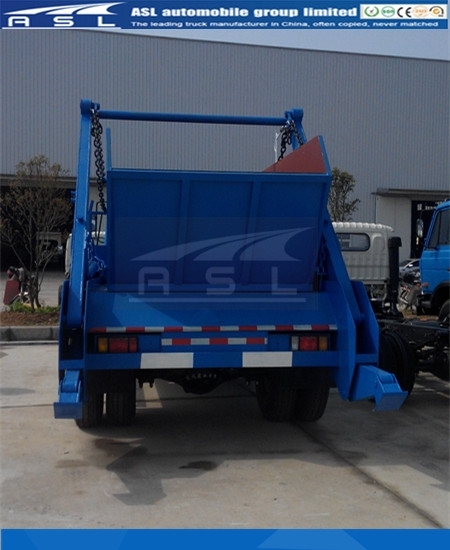 So the lifting chain’s length should be adjusted according to the hopper’s size during the use. The adjustment principle is that the hopper wouldn’t interfere with the arm when ascending the hopper from the flat ground and make sure the hook is on after the hopper falls to the frame. 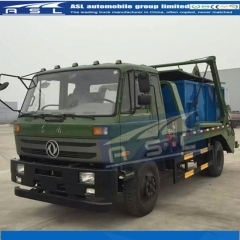 3: The multi-valve (Model: ZS1-L20E-T-40) is made up of 4 manual valves, flooding valve and unilateral valve on Best JAC 8T Garbage Container Loaders. 7: Oil box assembly: is fixed at the front of the frame. There is clapboard in it, which to disport it to oil in area and oil out area. There are net filters under the in& out tubes. 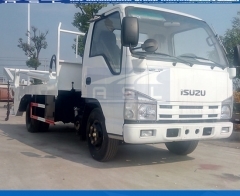 The capacity of the oil box is 85 liters. 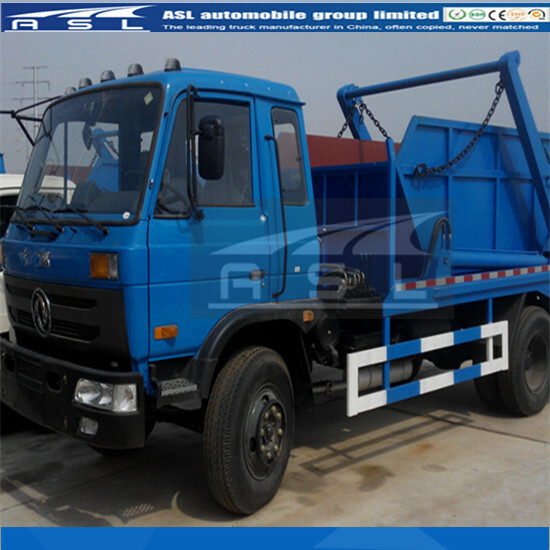 You can observe the oil pressure change through the pressure gauge on ASL Shacman 10wheels Skip Loaders. 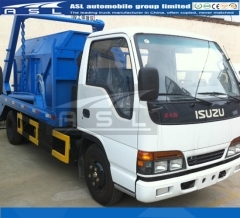 7: lubricate every 3 months as the following form on ASL ISUZU 10wheels Skip Loaders. The lubrication type is SYB1401 62. 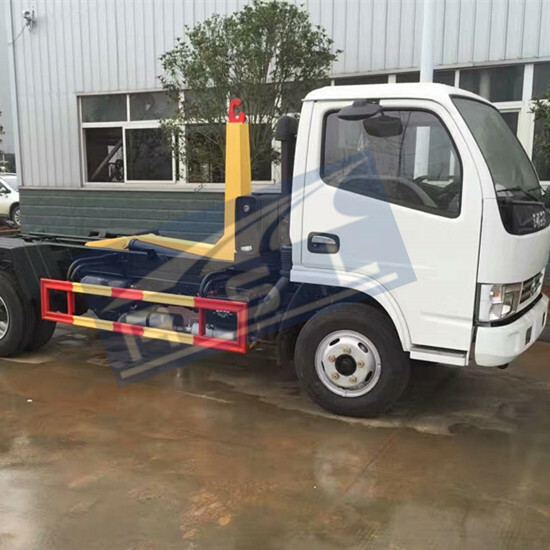 8: The adjustment bolt of the safety valve on Beiben Heavy Duty Skip Loaders cannot screw unbinding.